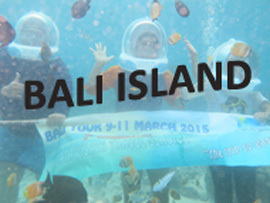 Meet and greet at Ngurah Ray airport, Bali full day tour – max 8 hours, transfer to Hotel. Transport tour with Air Conditioner, guide driver, fuel, and parking. Breakfast hotel and daily mineral water. Flight ticket and airport tax.